Always pretty in pink, this Aaron Basha baby shoe charm from the Baby Shoes collection is simply darling. Fabricated in lush 18kt white gold, this delicate trinket is completely embellished with delightful pink sapphires while a small diamond encrusted bow sits towards the front. 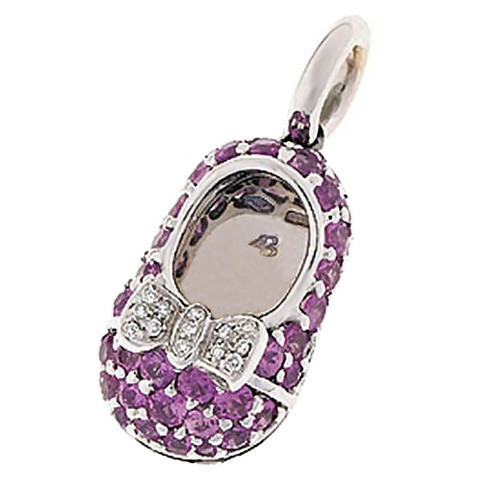 Capture the essence of your newborn with this striking Aaron Basha charm for your bracelet or necklace.